c e m p r u t: christmas give away: santa tote bag...!!! santa will gives the Indonesian followers of cemprut a special give away, yay !!! 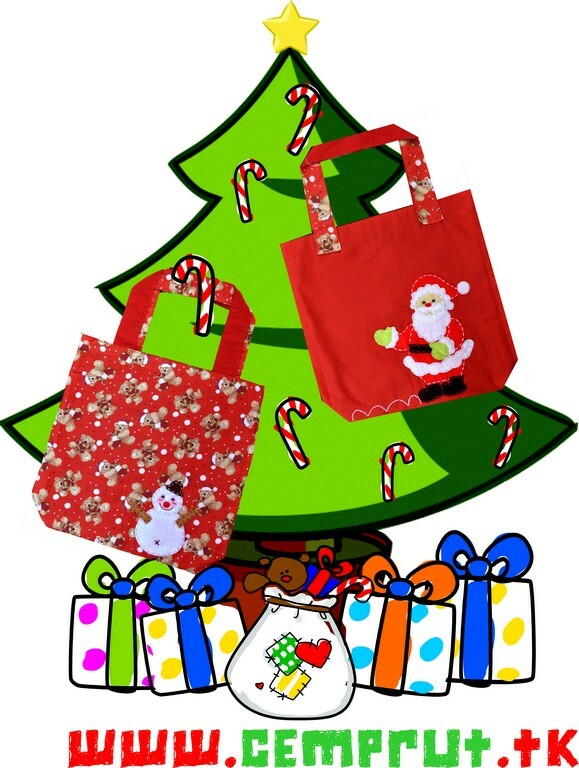 the Santa Tjangklong will be the one, it's a reversible tote bag with santa and snow man embroderied on it, cute isn't...??? okay guys hurry up to sign in Santa list for this lovely tjangklong, i will announce it in 24th December...Ho Ho Ho...!!! u know im ur follower since long time ..
mw ikutaan ah. . .
well I dont know much about santa, because I'm not celebrating christmas. But if I have to tell you what I love about christmas and santa.. I love the reindeers and its all red and green when christmas.